Human Biochemistry includes clinical case studies and applications that are useful to medical, dentistry and pharmacy students. It enables users to practice for future careers as both clinicians and researchers. 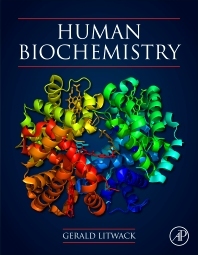 Offering immediate application of biochemical principles into clinical terms in an updated way, this book is the unparalleled textbook for medical biochemistry courses in medical, dental and pharmacy programs. Dr. Litwack was formerly Professor of Molecular and Cellular Medicine and Associate Director at the Institute for Regenerative Medicine, Texas A & M Health Science Center. "This textbook should come with a warning: Any serious student, teacher or scientist interested in biology who begins to read it, will not be able to close it for hours and perhaps days. It is a text they will cherish for years to come.